The Earth is amazing. So many beautiful places around us and we don’t even know that they exist! Look at this beautiful pictures and add every single of these amazing places to your ‘must see’ bucket list! This small Italian town Rocca San Giovanni is just so lovely and beautiful. I could just sit at the top of these stairs, meditate and relax. The Jiuzhaigou valley is a nature reserve and national park. 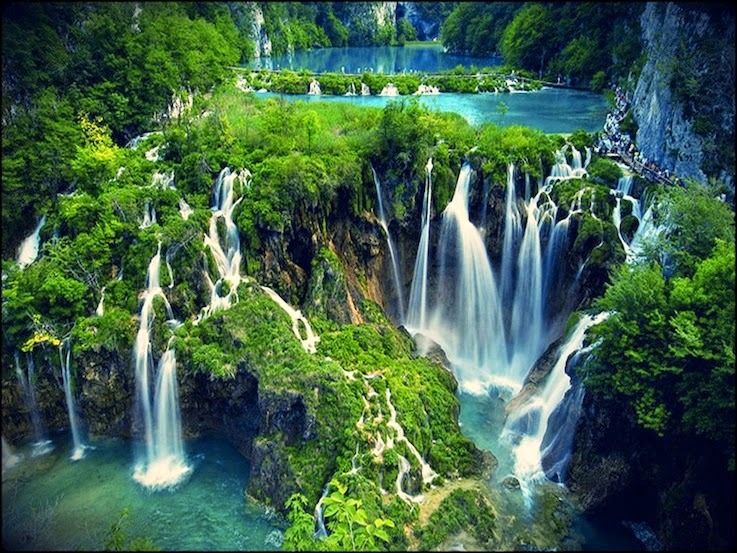 Beautiful colorful lakes and waterfalls will leave you breathless! I would love to run away here and hide from the world. Looks perfect! Santorini feels like no other place on earth. Such a beautiful and magical place! You have to admit that this is the most beautiful national park you have ever seen. Pictures can’t really do justice to this amazingly beautiful city! Bruges is just so charming!